Looking to organize Jewish summer trips? We specialize in planning fun, Kosher entertainment. Trippo Hippo has tons of Kosher vacation ideas to help with your getaway! Just follow the Hippo! Why should you reinvent the wheel? We are more than happy to share our exact itinerary, to save you the research we already did to plan this fantastic trip… Tried and true! We ate breakfast at home, and met our siblings’ families around 12pm at the Philly Zoo, after a 2.25 hour drive. The admission price is high, so for families living in Lakewood or Philadelphia, it often pays to purchase membership since it’s cheaper than visiting the zoo twice in a year. It’s a small to medium-sized zoo, and very pleasant to walk around. The animals are quite active and you get to see them pretty close up. We got to see newborn baby monkeys being cared for by their mother. So cute! We brought along our own lunch to eat in the zoo.There were lots of scenic areas and picnic tables available. Next we headed to Cherry Hill, about 20 minutes away, and stopped at a large playground called Jake’s Place. There were picnic benches under a large gazebo, and public bathrooms too. Just above the playground we found a large sports field, with a hiking path circling the whole field. We enjoyed a little family hike around the path, and there were even descriptive signs throughout the path offering information about the insects and wildlife in the area. Predictably, our kids woke up at the crack of dawn, so we took the opportunity to beat the crowds and enjoy an early morning indoor swim. The pool was nice and heated, and the Jacuzzi even hotter, so everyone enjoyed. The men and boys then went to Shachris at Young Israel of Cherry Hill while the rest of us picked up breakfast from The Bagel Spot and brought it to the Shul Sukka, where we met the men. We drove 15 minutes from the Shul to what turned out to be the highlight of our trip: Franklin Institute. The museum was engaging for toddlers through adults! It was packed with educational, interactive, hands-on fun. Voted by my family as the best museum we’ve been to! They had fascinating exhibits on electricity, medicine, science, optical illusions, two live demonstrations, and more. I’m a bit of a doctor-wannabe, and I couldn’t get enough of the heart exhibit, with a video of an open heart surgery, and a live demonstration of a sheep’s heart dissection. We enjoyed spending several hours at the Franklin Institute, and we didn’t even get to see everything. Next we drove to Bala Cynwd (prounounced “Kinwood”) for a late lunch/early supper at The Dairy Café. It was surprisingly good, with a large varied menu and dangerously decadent desserts. (How’s that for fancy alliteration? If I can’t be a doctor, at least I can try my hand as a poet, right?) They had two Succahs setup to accommodate multiple families. (If you’ve been following our trip notes, you may have noticed that some of us consider good food as important as fun attractions on a vacation!) We then went down the block for Mincha/Maariv at the Lower Merion Synagogue and then began our three hour drive back home-sweet-home. If the kids are ready for a little playtime and stretching, this is the perfect hidden gem of a place for them. They have a beautiful indoor playground that accommodates children of all ages. They have a zip line, toddler area, ball pits, and swings and slides, so there’s something for everyone! Eastern State Penitentiary was once the most famous and expensive prison in the world but stands today in ruin, a haunting world of crumbling cell-blocks and empty guard towers. You get to tour the prison that once held many of America’s most notorious criminals, including “Slick Willie” Sutton and “Scarface” Al Capone. If you have kids who are Preschool Ages, Philly’s Please Touch Museum may be more ideal for you than the Franklin Institute. 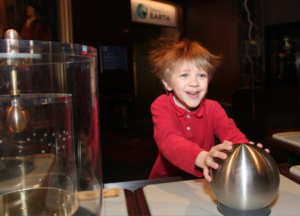 As the name suggests, each gallery is packed with hands-on stimulating activities. You can spend at least a half a day there. 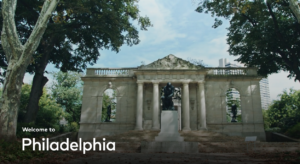 Here’s where you get to see the historical side of Philadelphia, including The Liberty Bell, Congress Hall, Franklin Court, and more, all for free. 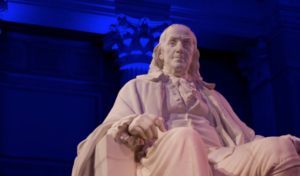 Tip: If you are interested in visiting the Independence Hall, tickets are distributed each day (March through December) from the Ranger’s Desk in the Independence Visitor Center. 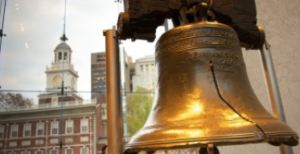 This is the only place to obtain your free, timed entry ticket to tour Independence Hall. A limited number of tickets are available each day, so try to arrive by 8:30 a.m. for the best selection of tour times. The above attractions are our Philly favorites. The Hippo offers lots of other activities here in and near Philadelphia.